As closing arguments get under way, the attorneys in the epic trial fire their parting shots, and try to weave four months of testimony into a narrative for the exhausted jury. Furthermore, that sentencing the poor, beleaguered jury—who were initially told they’ve be able to return to their jobs and families by July 4—to a summer of involuntary servitude, served some higher purpose. “I’ve never had a case where over the course of a trial I’ve had four haircuts,” the prosecutor told the jury. “He’s a gentleman, polite to a fault,” Mr. Puccio went on as the Zelig-like Morrissey sat hunched at the defense table. Morrissey is accused of masterminding a second codicil to Mrs. Astor’s will that made Tony and ultimately daughter-in-law Charlene the beneficiary of a $60 million trust originally intended to go to charity. “He continued to visit Brooke Astor years after the Barbara Walters and Henry Kissingers of this world stopped coming,” Puccio continued. Mr. Morrissey is also charged with forging Mrs. Astor’s signature on a third codicil, but the jury may have a hard time finding him guilty of that allegation, even though her bold signature on the document in question (unlike her confused scribbles on other legal documents) resembles those of the signers of the Declaration of Independence. Mr. Puccio was able to cast doubt on the testimony of Lea Opris, a maid who witnessed the codicil’s signing and said she distinctly remembers Mrs. Astor’s signature to be weaker and higher on the page, by showing that she may have been describing a first codicil that fits that description, and that Mr. Morrissey had nothing to do with. Two handwriting experts hired by the defense also contend the signature on the third codicil is authentic, perhaps canceling out the prosecution’s expert, who is equally confident the signature is a fake. In addition, Mr. Puccio introduced an idea that Fred Hafetz, Mr. Marshall’s attorney, would also hammer away at: that Mrs. Astor so loved tinkering with her will—she changed it 38 times between 1953 and 2003 and took it away with her on weekends the way other people do their tennis racquets—that there was nothing fishy about her decision to do so again in 2003 and 2004, the time of the suspect codicils. Mr. Hafetz risked insulting the jury’s intelligence by asserting that the only witnesses the jury could trust were G. Warren Whitaker, the lawyer Mr. Morrissey hired after Mr. Marshall fired Mrs. Astor’s longtime estate lawyer, Henry Christensen, and Robert Knuts, a colleague. The reason is that they were the only people in the room, besides Mr. Morrissey, when Mrs. Astor signed the codicil that gave away the store to her son, so only they can attest to her mental capacity. The defense’s mantra throughout the trial has been that, while conceding Mrs. Astor had Alzheimer’s disease, she had good days and bad days and her son only dared to presume on her goodwill, or wills, on her good days. Taking that a step further during summations, Hafetz and Puccio contended she had good and bad moments. In other words, while Pearline Noble, one of Mrs. Astor’s nurses, may have testified that her patient had to be dragged into the library to sign the disputed codicil, literally kicking and screaming, the nurse wasn’t qualified to testify to her demeanor once she was behind closed doors and presumably settled down among the men in dark suits. Mr. Hafetz painted Mr. Whitaker as a “a luminary” of the trust and estates bar, even though Mr. Whitaker felt it unnecessary to meet his then-101-year-old client before drafting the document that utterly altered her will, spent about 15 minutes with her when he did, and stood to gain $1.7 million in legal fees. And on the witness stand in June, Mr. Whitaker painted Mrs. Astor as a saucy centurion at, or at least near, the top of her game. While the likes of Henry Kissinger and Barbara Walters and countless maids and nurses have described her as seriously out of her mind, Mr. Whitaker said she had no problem with such arcane legal concepts as “lapsed legacies” and “successor executors.” Or even more incredible, that she was happy to make her detested daughter-in-law Charlene Marshall the ultimate beneficiary of her estate. In previous wills she’d reluctantly left her son’s third wife a couple of fur coats and some jewelry. According to Mr. Whitaker, Mrs. Astor cared only whether her son and Charlene were still happy together. “Are they happy in bed?” demanded the randy grande dame. When his turn finally came on Wednesday to give his summation, Assistant District Attorney Joel J. Seidemann started by acknowledging the jury’s sacrifice. “I’ve never had a case where over the course of a trial I’ve had four haircuts,” he stated. Philip Marshall, Brooke Astor’s grandson—who unleashed the events that culminated in his father’s trial when he had him removed as his grandmother’s guardian, charging she was living in squalor at her Park Avenue apartment—was following the trial from his home in South Dartmouth, Massachusetts. The most important thing for the jury to focus on, he said, is that common sense, let alone common decency, dictated that once his grandmother was diagnosed with Alzheimer’s in 2000, his father should have ceased making further changes to her will. Mr. Seidemann, the author of In the Interest of Justice: Great Opening and Closing Arguments of the Last 100 Years, obviously understood that part of his challenge was to weave four months of testimony and witnesses, more than a few of them forgotten, into a compelling narrative that showed the jury how all the pieces fit together. He seemed to succeed, if their rapt attention was any indication, by playing not just on their sense of justice but also on latent middle-class hostility toward the rich—or at those members of that rarefied group that aren’t content with $20 million, the amount that Mr. Marshall would have inherited after taxes if he hadn’t touched his mother’s wills. Mr. Seidemann projected a chart onto the big screen in the courtroom that put Mr. Marshall’s greed in stark relief. For example, it showed that at the time he was spending over $900,000 of his mother’s money on a yacht, he told Dwight Johnson, the president of Pratt University’s black alumni association, that his mother couldn’t afford to honor a $20,000 pledge she’d made to the association. The prosecutor seemed to relish flashing the insults Mrs. Astor shared with her overachieving society friends against her son—who she considered a disappointment and a bit of a bore—and daughter-in-law—a classless fortune hunter, to her way of thinking. He also recalled the testimony of Minnette Christie, one of Mrs. Astor’s nurses, that she suffered from nightmares in her senility where she conflated her son with his father, her abusive first husband J. Dryden Kuser, and believed both were coming to kill her. And Mr. Seidemann isn’t even finished. His summation continues Friday. 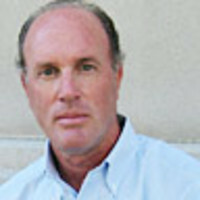 Ralph Gardner, Jr. is freelance writer whose work has appeared in New York magazine, the New York Observer, the New Yorker and other publications.